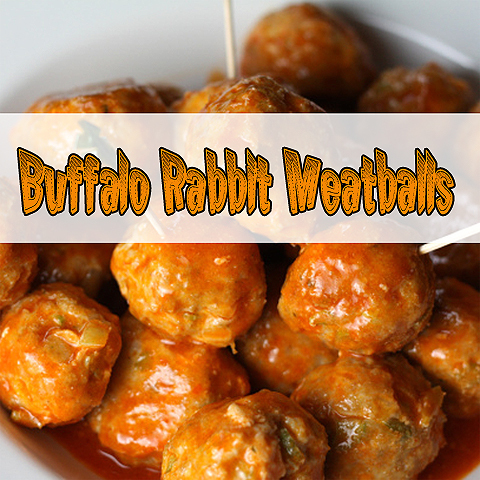 Buffalo Rabbit Meatballs, this recipe is a great appetizer for games, potlucks or something different for dinner. A fun play on Buffalo chicken wings – a lean, mean ground rabbit meatball! Preheat oven to 350 degrees. Rub the bottom of a large baking dish with a bit of oil, to prevent the meatballs from sticking. Combine all meatball ingredients until well-blended. (The mixture may feel a bit sticky.) Roll the mixture into one inch balls. Place in a single layer in the baking dish and bake for about 25 minutes. 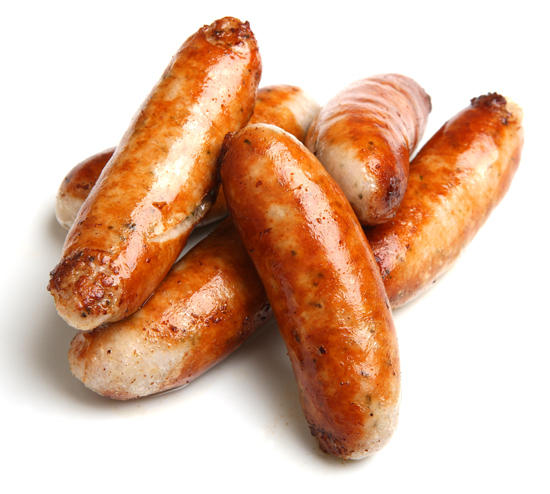 Combine the Frank’s Red Hot with the melted butter. For a milder sauce, add more butter or decrease the hot sauce. Pour the sauce over the meatballs and serve! Makes about 2 dozen. 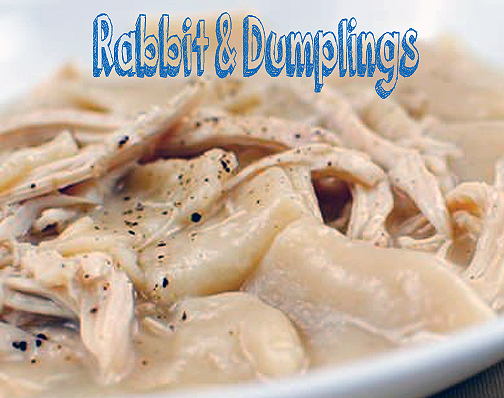 You can easily double or triple this recipe for a big crowd!